6 ταξιδιώτες κοιτάζουν τώρα αυτό το κατάλυμα | 3 ταξιδιώτες έκαναν κράτηση σήμερα. Κτισμένο το , το Toms Guesthouse αποτελεί ξεχωριστό σημείο σε Χονγκ Κονγκ, καθώς και έξυπνη επιλογή για τους ταξιδιώτες. Σε απόσταση μόλις 0.1 km από το κέντρο της πόλης και 34 Km από το αεροδρόμιο, αυτό το 1 αστέρων ξενοδοχείο προσελκύει αρκετούς ταξιδιώτες κάθε χρόνο. Με την βολική του τοποθεσία, το ξενοδοχείο προσφέρει εύκολη πρόσβαση στους προορισμούς της πόλης που πρέπει οπωσδήποτε να δείτε. Επωφεληθείτε από ένα πλήθος ασυναγώνιστων υπηρεσιών και ανέσεων σε αυτό το ξενοδοχείο της Χονγκ Κονγκ. Κορυφαία χαρακτηριστικά του ξενοδοχείου συμπεριλαμβάνουν τα δωρεάν WiFi σε όλα τα δωμάτια, 24ωρη ρεσεψιόν, φύλαξη αποσκευών, ασύρματη σύνδεση Wi-Fi σε δημόσιους χώρους, 24ωρο check-in. Όλα τα καταλύματα διαθέτουν τις απαραίτητες ανέσεις για να εξασφαλιστεί μια ασυναγώνιστη αίσθηση απόλαυσης. Εξάλλου, το ξενοδοχείο διοργανώνει πολλά ψυχαγωγικά δρώμενα έτσι ώστε να έχετε πολλά πράγματα να κάνετε κατά τη διαμονή σας. Όταν ψάχνετε για ένα άνετο και βολικό μέρος για να μείνετε στη Χονγκ Κονγκ,το Toms Guesthouse γίνεται το σπίτι σας μακριά από το σπίτι σας. MTR and Airport Bus is right across the steet! Staff are friendly... I came a few minutes after allowed check in time but got accomodated anyway.. whew!.. Lots of yummy Indian food downstairs, selling cheap bottled water downstairs.. store right beside the building sell tons of chocolates at cheaper rates than back home.. walking distance to China Ferry Port to Macau... Fast and reliable wifi.. Cool airconditioning.. hot shower.. blowdryer.. fresh towels.. nice interior.. very new.. great value for money! Pros: Location was good! Near some tourists spots and shopping malls. Just across the subway station. Money changer with higher conversion rates at the ground floor. Room was so affordable. Cons: There were a lot of indians, africans etc at the ground floor that will offer you vacant rooms to stay and they were kinda scary especially when you're travelling alone. Room is too small. Bed is also too small. Bathroom was also too small. You just get what you paid for after all you'll be out most of the time. Bed bugs. It was a great travel experience. The boss is very nice. He said hello to us every time he saw us. 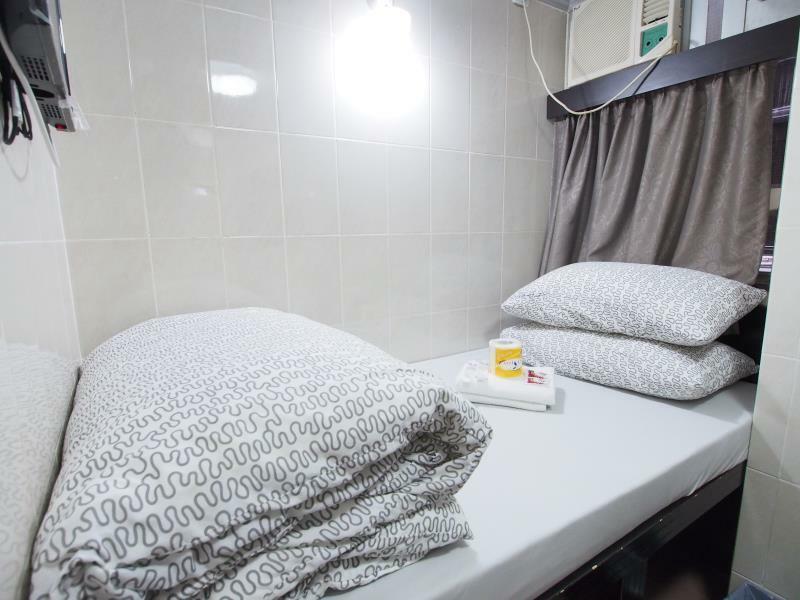 The environment of accommodation is ok, clean sanitation, equipment facilities is all ready, the word of two people recommends two people bed, the space will be a bit bigger. If it is a big bed, it will be a little crowded. But overall it's pretty good。If I had a chance to visit Hong Kong, I would still choose them. It was the nicest staff we ever met. We were really tired after one night at the airport and they gave us straight away a room. The room was small, but thats Hong Kong. Free fluffy towels and bananas every day! The only downside is that you dont really have a common area. Thank you again ! Finding good accommodation in Hong Kong on a budget is never easy. This place is very popular and I have stayed there before. The rooms are small but I found that they are clean and everything you need for a comfortable place to stay. I am not a small person but I had no issues with the size and, what is most important, slept well during my stay. We all found the staff to be both very helpful and friendly. We were spoiled by Andy with an early check in when we arrived very early (8am) after an overnight flight. This was very kind of him and we were lucky it was possible. The room is small but perfectly formed with space under the bed for your luggage and toiletries and towels are provided. The layout is thoughtful to the fact you are in a small room, with shelves and wall mounted fan/hairdryer and hooks for your belongings. We found it great value and more than adequate for our needs. The free filtered water in the kitchen is a bonus. The position of Chungking Mansion is very central and right next to MTR and Airport Bus (a21) stops, which made transport simple. The mansions are a busy hub of ethnically diverse restaurants, food stalls and electronics outlets. Friendly people man these stalls and they will try to get your business - it’s their job after all, but they are not pushy (certainly not compared with other places we have travelled) and we loved the feel of the place. 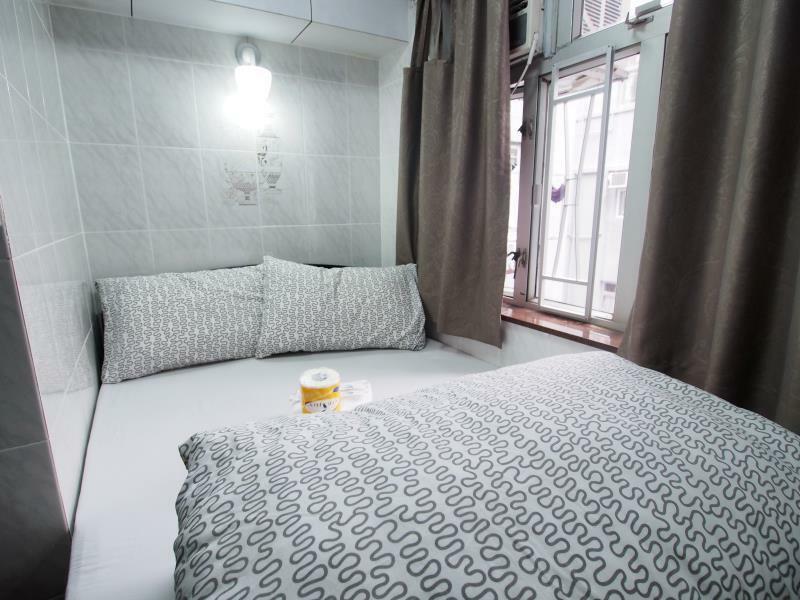 Tom's guesthouse are located inside Chungking Mansions which is known to be not-so-comfy but affordable place. But Tom's guesthouse can be access by the elevators in block B and C, very convenient since only in block A elevator is problematic has long queues. Don't be intimidated with the space since you will use this for sleeping and you will be out most of the time. 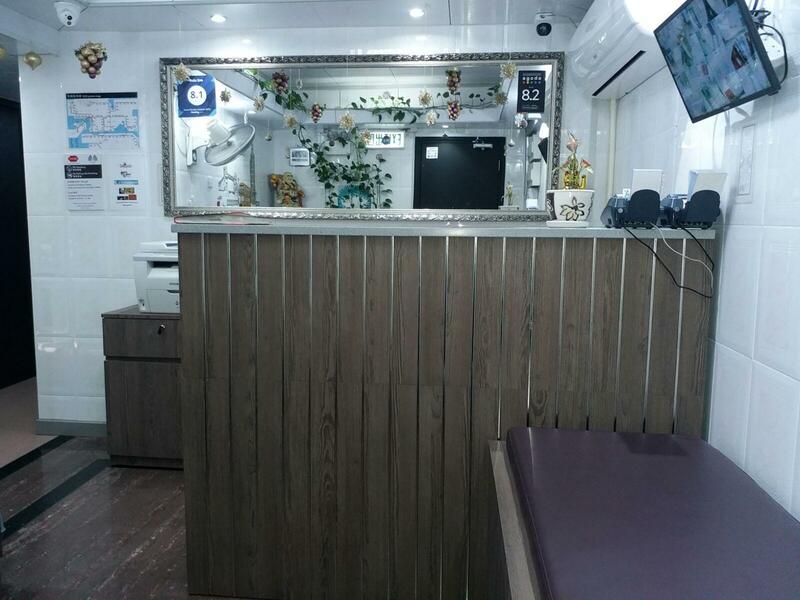 The place is very clean and the staff are awesome and friendly people. They are respectful, accommodating, trust-worthy. Me and my mom visited HK just last January 20-14, 2019, we are not disspointed and we knew there why they have high review rate. I will definitely go back there whenever I will visit HK again. Tom's Guesthouse is definitely the best place in ChungKing Mansion. George and Victor are awesome owner, they are really friendly! 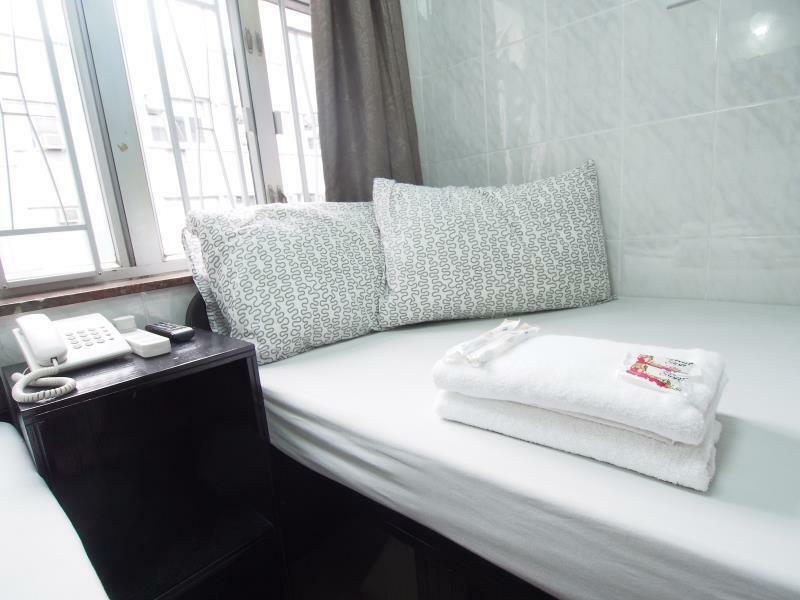 Hotel is within Chungking Mansion which is very accessible to anywhere around HK. There are a lot of stores inside the building. Few minutes walk to MTR. The space is small but very clean and nice. There was just a bit of a problem in our hot shower it doesnt work sometimes. Other than that you will surely appreciate this place aside from the affordable price. The guesthouse itself is very practical. It offers all you need during your stay. The room was a little small but clean and secured. For us it doesn't matter 'cuz most of the time you are staying outside to stroll. Lastly, the staffs are very accomodating and helpful. They allow us to leave our baggage even after check out. More power! I cant think of staying in some other hostel inside Chungking other than their chain (Toms & Asia Inn). I already stayed with 4 other. Their being like a family and friend to me is the plus. Its not just about business. They detailed and prepped the hostel to a budget tourist. A superb net, aircon, towels, comforter and our own main door access card. George and Victor are like uncles and Andy, a caring friend/cousin. They made sure the stay compensates for the building and elevator. Staying with them covers an ocean park or roundtrip macau ferry ticket vs a 4-5 star stay. Im not in the room always so its just my sleep haven. Its in the priciest real estate part of the world so expect a cruise ship small cabin and toilet slightly bigger than an airplane's :). Great location ; cannot be better Staff; basically friendly not more or less Condition; clean bathroom but too small. Also hot water didn’t work properly during this cold weather. I took shower by cold water. It is okay for teenagers or students but not for my age. So if you are student then I recommend. If not, pay much more for other hotels. if you cannot pay over USD 200 per night then better not to travel HK. I stayed here with my mother around April last year. What I appreciated the most about this place is that even though it's a budget inn, I could tell that the staff made the best out of the very limited space available. Considering the size of the room (which is very small, be forewarned, but I think it's to be expected from most of the accommodations within that price range in HK), it's clean and well-maintained. Basic amenities are also provided. And from what I remember, Sam, one of the staff/people managing the inn, was very kind to me and my mother. He willingly assisted us whenever we asked help from him. 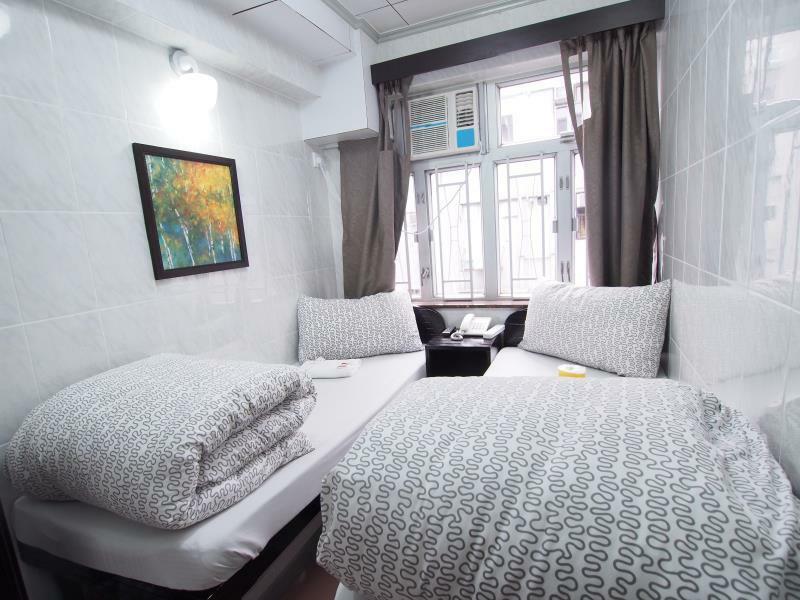 If you are on a tight budget and willing to look past the location (Chungking Mansion's not as bad as some people make it out to be, in my opinion; it can get pretty chaotic during the day but the place is pretty clean and decent) then you might want to consider staying here. Nice place to put up as a Solo traveller. Walking distance to many attractions in the city; including malls. This is on level 16. There are many shops at the arcade that leads to the lift and some men loitering around are quite annoying. Just do your business! The location is very good. It is along Nathan Road and is near to food establishments and shops. It is also near MTR Stations. The only downside is the room is small enough to fit 2 adults and a luggage. Also, the ground floor is filled with forex shops and Indian/Bangladesh shops. There are always many people in the ground floor even people who are drinking late at night. The bathroom is also small and is also the shower area. However, the staff is very nice and accomodating. There is a kitchen with free water for drinking and hot beverages and coffee and tea. If you are not that picky then this guest house is right for you. The manager, George, was kind enough to let us checkin at an earlier time. We were at our room as early as 10am. Regular checkin time is 1pm. He is also delightful to talk to and was very approachable. The guesthouse was so convenient for us to stay in. Location of this Hotel is hard to find - It is good that Taxi driver we got knows the place. Entrance to the hotel contains Vendors from Pakistan & other nationalities. It also have Currency Exchange outlets. Our room is located at the 16/F. We arrived 11 AM and we were accomodated despite the check in time of 2PM. Small hallway / but clean bedroom. Towels are changed everyday. Trash is also cleared everyday. Very near MTR Stations. A lot of shopping malls around the area as well. Aircon is good. Except for the very cramped space in the room with 2 Double beds and cramped Comfort Room - the price for a budget room is just right. Will definitely book in this hotel again. The price was very reasonable. Check in and check out was no hassle. Very accomodating staff and manager. Complimentary coffee and tea anytime of day and night. The room was a bit too small for the two of us, however, it provides a cozy feeling because we snuggled with each other most of the time. Within the building are places to eat esp if you prefer Indian cuisine. There were money changers on the ground floor too, so if you need to exchange your money to hkd - not a problem (yes even phil peso) they accept to change to hkd. Over all I should say, good location, good staff and the price is not bad. We stayed here with our 2 teenage children and have no complaint's. We did have a city view room with 2 double beds and a private bathroom. The hot water as well as A/C worked great. They have a community microwave and small refrigerator in the lobby as well as coffee and tissue. One thing to know is in HK some rooms don't have windows and or private bathrooms so when booking pay attention to the room details.. This is a HK budget room so you do deal with the elevator line sometimes. There are also shops and people on the first floor that sometimes try to sell you products, food and also cheap rooms. For us this isn't a problem and again it's not all the time. We would stay here again and would recommend Tom's Guesthouse. Σταθμός MTR Tsim Sha Tsui στα 0.11 χλμ.